The Kindle ebook reader is a lovely device that some people love. However that love comes at a price. The cheapest version cost less than $100, and if you buy one, you have to put up with the hassles of learning how to use it, keeping track of, and maintaining it. You can avoid the expense and hassle of buying a device by downloading a free Kindle application that will let you use your computer, tablet, or smart phone to read Kindle books. Why is all this good stuff free? Amazon.com, the company behind the Kindle, isn't in the charity business. While the Kindle devices generate revenue, over the long term they will make most of their money through the paid content, including books, that can be displayed on the Kindle device or on one of the free Kindle apps you can download. How do I get this free Kindle App? Once the download is finished, you can use your Amazon.com account to log into the online Kindle store to either buy content or to download free content. 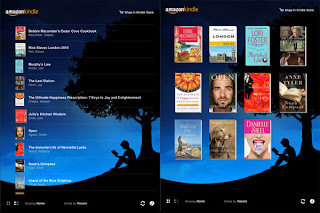 You don't have to have a Amazon.com account to read books and use other content, there are several advantages. One of the biggest ones is that you can download a sample of a book and evaluate it before you decide if you want to buy it. Since the Kindle app is free, you can download it for every device that you have. There are two ways that Amazon makes this a convenient option. First, if when you purchase a book, you can download it and read it on every device where you have a Kindle app. Second, if you make notes or bookmarks in a book on one device, when you open up the book on another device, all the notes and bookmarks transfer as well. You don't have to get your books from Amazon. You can read .mobi format ebook file on your Kindle reader. Check out these two free ebooks from AirSafe.com's partner Speedbrake Publishing.